Thanks to everyone who for one reason or other has chanced upon my blog. Please visit www.triciayeoh.com to continue following my thoughts, writings, and observations as I ruminate about Malaysia and its future. I was invited last Friday to speak at an event jointly organised by Empower and SIRD (Strategic Information and Research Development Centre) entitled “I am what I believe”. A rather intriguing topic to begin with, the objective of the forum was to bring a diverse range of youth together to discuss the role of religion in politics and the fine workings between the two. The speakers represented the fields of law (Aston Pava from the Bar Council), feminist activism (Nazreen Nizam from Sisters in Islam), social and community work (Mrithula Shiva from the URI, United Religions Initiative), and public policy (myself). Though I did not have a text, I was asked to prepare a summary of what I wrote for the purposes of their record-keeping and report. So here we go. A rough outline of what I said last Friday evening at MBPJ, with about 30-odd young people sacrificing their night out to have some solid discussion on the religious-political sphere in Malaysia. Tonight I will speak on two over-arching topics in relation to faith and politics; the first will outline my personal background and the reasons for which I subscribe to the principles I believe in today, and thereafter I will try to address the problems that are currently being faced in Malaysia. I’d like to firstly put a caveat that I am not speaking on behalf of the state government. However, because I do wear that particular hat, I do have a certain amount of experience and exposure in the realm of policy-making from a state government’s point of view. Hence, I speak as a policy analyst, one with experience in government, and one who happens to have been brought up in the tradition of the Christian faith. My heritage is therefore one of Christian tradition. Having grown up in an environment of relative conservative spirituality, the ‘church’ had us believe that much of what constitutes Christianity is essentially to do with one’s spiritual health – the relationship between self and God, the divine. Most of our teachings were centred upon how to improve one’s spirituality, with a particular focus on the afterlife. However, as I started becoming exposed to public issues such as corruption, injustice, cost overruns (such as the Istana we are now faced with), abuse of power, discrimination of minorities and a host of other issues, I realised that the public-private divide was a myth, for someone whose faith so fundamentally describes the personhood of someone. Again, I am only speaking based on my own experience. The division between the public and private spheres in this instance was difficult, especially since the ethos that drove me as a person – those very principles of justice, honesty, truth, accountability – were the same things that I would project onto the public sphere. Faith and politics were hence intimately intertwined insofar as social justice was concerned. For example, the efforts to fight slavery in the past stemmed precisely from faith principles (or the interpretation of what those religious principles were to that particular group of advocates). My premise is therefore that for those whose faiths so intensely drive their being, it is not possible to extricate one from the other. The problem arises, however, when there are varying interpretations of opinions on public morality; or when policymakers begin to take it upon themselves to consciously legislate public morality. This, again, is entirely possible, if and only if, the leader concerned is able to rationally consider what is the greater good for all. This means that policy decisions must be made for ALL from different backgrounds, and these differences must be taken into consideration. Living in Southeast Asia and Asia, for example, it is inevitable that any of us would have had some sort of exposure to religion growing up and even at present. To say strictly that there IS a separation of the two is utopian for some but impractical for most. Given this reality, how then do we approach decision-making for the public at large? Let’s focus on Malaysia right now. The problem in our country is that there is a tight and interrelated nexus between the issues of race, religion and politics. Race and religion so fundamentally describe identity. The nexus is therefore between identity and faith, identity and power, which are extremely strong ties. Without delving too deeply into history, the Iranian Revolution in 1979 without a doubt spurred Muslims in Malaysia towards a religious wave. Again, this is too sweeping a generalisation and I am not doing justice to historical political discourse, but what resulted from these trends were the emergence of political parties in a race towards being more Islamic than the other: UMNO and PAS. I do not doubt the genuine intentions of many, but there have certainly been strategic steps taken for political expediency purposes, on both sides. Therefore this establishes that religion in Malaysia ties too closely with politics for us to have a rational discussion on the theoretical relationship between faith and politics – or rather, the prescriptive notion of what ought to be in place. In addressing the issue of a secular vs. an Islamic state, I believe the definition of the term secular or secularisation is interpreted differently by different quarters, and therein lies the difficulty of discourse. A secular state does not necessarily mean one that is completely non-religious. This just means that the country is not legally defined or shaped or dictated by those religious principles, for example as mentioned above the legislating of public morality. In any case, even without those legal tags that we place upon Malaysia, can we not be satisfied to say that the country is in fact Muslim in ethos nevertheless? The more interesting question to me, therefore, is then to what extent can personal beliefs inform our policy decisions? Should they at all? In the courts, through government administration? I believe that faith can inform and influence our decisions, but only to the extent that it benefits the greater good for all. The important consideration is that of people of multiple religions being affected as a result of any public policy decision. And yet, more and more issues besiege us daily. There are the issues of the “Allah” controversy, temple relocation, church-burning, Kartika and caning as a result of alcohol consumption, apostasy and the list continues. My personal conviction is that we ought to ask ourselves where we are at the cross-roads, where we want to go and how is it we are to get there? We must be able to work on faith principles and common values that can be applied to the public sphere. I can think offhand of initiatives such as working on poverty, the right to water, refugee issues, humanitarian aid, and so on. There is a need to recognise common ground, that of respect, dignity, trust. The Common Word Document that was sent by leading Muslims around the world to the Church community was an epitome of such respect for a common belief in one God and that of loving thy neighbour. This work has to begin with the young, as I believe some would be too encumbered with baggage of their own beliefs and that of their heritages (including that within the Christian faith) to progress further. More people of such thought projections should be empowered to speak up and express their opinions, without the religious agenda being hijacked by a select few. More avenues must be given, such that religious views are not exclusive to those who are legally or administratively given the right to speak or define one’s personal beliefs. We must be able to break free from the insecurities, fears of identity that have burdened our own communities for far too long. What are the right avenues to work on this agenda? Through profession (the vocation that one chooses to take up i.e. law, policy), involvement in civil society (NGOs like Perkasa are powerful but to speak up means forming and joining other NGOs to have a critical mass and show voice and power), politics (being involved in actual decision-making or supporting those in politics who share your views), the media and Internet (Web 3.0 is powerful as a source of influencing opinions far and wide). Ultimately, it’s about education and opening of the mind. Remember this. Leaders make decisions based on what they believe the people want. Enough people believing and displaying publicly that they desire traditional, classical religion to be less defined within the law, will eventually lead the way to that end. This, after all, is democracy. Download the FOI Draft Enactment HERE. The idea for a Freedom of Information Act is not a new one. Many a conference and public forum has called for such an enactment even prior to the March 8th General Election. In other countries, it varies from being known as a “Freedom of Information” to a “Right to Information” Act (the latter is true for countries in India). When Pakatan Rakyat stepped into power in Selangor, this was a prime opportunity for the state government to put into practice what it has always called for at the Federal level. Which has been finally tabled for first and second reading TODAY at the Selangor State Legislative Assembly! Let today be a historic day, with an unprecedented enactment, either at the State or Federal levels. The next step is for the newly elected Select Committee (chaired by YB Saari Sungib) to decide on how to proceed, which would include several rounds of public consultation. After collating the feedback and having various (thorough I am sure) discussions, table it for the third and final reading. We must ensure that the implementation of this FOI enactment takes place efficiently, lest it becomes a mere justification for living up to our own self-imposed standards of transparency and public accountability. Officers with traditional and conservative views will need to be given training and exposure, to operate on the principle of information availability with only narrow exceptions. We should also now include as a clarion call for the Federal Government to take up the initiative. In the very least, some reform must be done to address the archaic laws of the OSA, Printing Presses and Publications Act, and a slew of other Acts which have continuously served to restrict and muzzle freedom of expression and of media. I am not sure Malaysians are familiar with the concept of federalism. When the 10th Malaysia Plan referred to the word “Federalism”, I had to stifle a laugh because they simply did not seem to get it right. Instead of recognising the autonomy of States (like Selangor, Perak, Penang and so on) to have their legitimate control over areas that are defined constitutionally… they used the term to refer to the transfer of power from state to the Federal Government. Authors of the document, wake up! What you refer to is actually centralisation of power. Not a very healthy trend of democracy, if I may say so myself. But it’s alright. You guys can go ahead and centralise solid waste management. People may end up paying higher fees if the one private company you choose eventually has to hire other sub-contractors, creating greater layers and in effect making people pay more. You’re probably going to get people to be more dissatisfied. But hey, not everyone on our side understands Federalism too. There is an interesting post by a friend entitled “Khalid Ibrahim and his enemies” here. His two points raised are interesting, which are below, followed by my thoughts on his points. The practice of separating party and state is indicative of a healthy democracy. When I was doing research for the Integrity Index, one of the key indicators of a healthy integrity score is exactly this: the separation between party and state. Maybe I am being too idealistic. Am I? In our context, there are already those from the party who are nominated in positions representing an interest in the state government and given a decision-making role. The culture, however, is for the state to provide other recognition to the party. If it is finances, I think the answer is pretty clear: there ought to be separation. If it is nominated positions in state GLCs: this should be done only if the people are professionals, competent and possess the necessary skill sets required. Even so, preference shouldn’t be given purely on the basis of one’s party affiliation, should it? It should be based on whether the person is able to deliver. If the persons are excellent and able and happen to be affiliated to a party, then fine, by all means. The key determinant of being selected into a position is the ability to deliver and make wise, informed decisions. 2. Parliamentarians and state assemblymen have separate and distinct functions. In our country, we also have to accept the reality that people are not educated on the varying roles of MPs, State assemblypersons and local councillors. Whenever there is a problem of longkang tersumbat or botched-up roads, people will turn to whichever representative they can get access to. So, because MPs get called on to solve state-related problems, they therefore feel they have a stake in the governing of the State. This is an unfortunate reality. MPs should actually be focusing their attention on national-level affairs, the drafting and debating and passing of Bills into Acts. Having said that, the principle of federalism also calls for there to be a separation of jurisdictions. So ultimately, it should legitimately fall on State Assemblymen to make the call for matters relating to the state. But there should always be the culture of openness, consultation, participative discussion, inclusiveness of all who have concerns and recommendations. MPs have access to people because of the multitude of people they meet. They too are the eyes and ears, and have valid perspectives that are valuable to the state administration. So, i) State Assemblymen have a legitimate State function; and ii) There must be room for MPs to express their valid views. Having weighed all the concerns, let us remind ourselves the reason we are fighting this fight. Let’s go beyond the farcical sandiwara, the games, the lobs made between different sides whether internally or externally. What are the principles upon which we stand? There are lots of problems and issues that we must continue to iron out. And this is true. So much to change. So much work to do. In the meantime, this is a painful but necessary process of educating ourselves on how to “do” democracy. Living so many years under one government, we have to be re-educated. Mistakes will be made. But we must do this together. Call it cliched, but a rope with many cords is much stronger than a rope of only one. One of the successful projects we did at the Centre for Public Policy Studies (CPPS) in 2008 was an electronic compilation of Policy Factsheets, putting everything one needed to know about the country’s policies into bite-sizes. These became easy reference material for voters to judge for themselves the successes (or failures) of the Government in delivering upon things like Healthcare, Crime Rates, Poverty, Education, the Economy, and so on. Condensed into 2-3 pages, some politicians and campaigners even used them at their various ceramahs. You can also download the files available in both Malay and English here. As you can see, there has been quite a bit of work done to deliver upon all the various portfolios. Sometimes it is just that the Selangor State Government has lacked the communication tools necessary to ensure these policies and programmes’ information is filtered to the ground, to people like you and me! Us netizens deserve a lot of info and trust me, we are working hard at this. Again, you can download it from my makeshift google site here. Share the document far and wide if you can! When I started this blog more than four years ago (as a young, fresh wide-eyed newcomer into the working world), one of my first posts was titled “The Beautyful Ones Are Not Yet Born“. In that particular post, I made reference to the Moorthy case and candlelight vigils, which, I believe, was one of the catalysts in many people’s participation in the vibrant civil society movement of today. 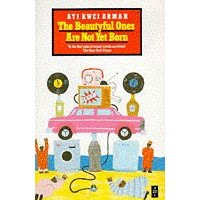 But today, I am compelled to write again of this book by Ayi Kwei Armah, which so simply and profoundly describes the nature of a rotting nation – and the decisions that different people choose to make amidst this rottenness. The book describes the protagonist, named “Man” in an African nation (he is given no other name, most likely to remind us he represents just any one of us citizens), whose country has just been taken over by a new regime, overthrowing an old corrupted government through democratic process. This new regime, however, begins to show signs of adopting the very same culture as did the old one. One of his old buddies, for example, succumbs to the sweetness of a luxurious life complete with huge cars, a posh home and furniture, and modern imports from the Western world. It is obvious the means by which this friend has obtained such wealth. On the opposite end, “Man” chugs away at his laborious day job at a railway station, having the opportunity to accept bribes in order to better his livelihood, but makes the most difficult choice of pushing it away. One of the most poignant scenes is when “Man” is scoffed at by his own wife, for he cannot afford to purchase the most basic of necessities of shoes for his children. This is in stark comparison with his friend’s possessions, and at one stage he is forced to weigh the moral costs and benefits of maintaining his “straight as an arrow” stance. Why bother sticking to the moral high ground, when his own children can’t wear shoes? Better to let them wear shoes than to continue resisting temptation, after all, is it not? The daily trudgery of “Man” goes on. Until… one day, there are rumours of yet another coup. “Man” hurries home to be with his wife and children. At some point, the rumours become reality, and his friend comes looking for him in desperate fear, as he is being witch-hunted himself. He has lost everything, his wealth, his material possessions, and is being hunted down as he was part of the well-oiled government machinery that was so very much despised, despite having gained its seat through idealist and democratic means. There is an ugly scene in which he is forced to escape through the toilet chute and emerges with faeces upon his body, replete with the most horrible odour. (One can draw parallels to the corrupt politician and all he represents). “Man” is eventually vindicated. No richer for his choice made, he walks as a free man. Free from any guilt of having behaved in the same morally corrupt manner as all of his friends in the apparently new democracy. This individual decision, to walk the path most would have otherwise laughed at, is the defining difference. The darker side of the story is that (as far as this fictitious African nation was concerned, extendable of course to all countries in the world, including ours) coups are cyclical. The regime change (once, at the beginning of the book and twice, at the end) signified merely the innate nature of humanity to fall into the trap of selfishness and greed. Ayi Kwei Armah was describing his own nation’s downfall, Ghana, and its leader Nkrumah, during its struggle post-independence. Perhaps it will take numerous generations before the Beautyful Ones can be born in this country of ours. As it is, too few individual “Men” make that very difficult choice of saying no to any sort of temptation. The pull of money and power is too strong for most. In the January 2010 Economist issue, there was an article describing a Psychological experiment which proved the maxim we all know too well, that power corrupts, and the more you hanger after power the more likely it is you are to be corruptible, whilst the reverse is true. If you do not think you deserve the particular position you are placed in, the less corruptible you are. (The experiment also revealed other interesting things, such as the fact that politicians have a higher moral standard for society, but a lower one for themselves). “Man” in this book was one of the rare, beautyful ones who in his simplicity, plodded through life being true and just. Must we remind ourselves of the reasons revolutions are sought after and fought? Is this not what we are slaving away for? For, the Beautyful ones are still not yet born. A congratulatory note is owed to Barisan Nasional and its candidate, now Hulu Selangor Member of Parliament, Kamalanathan for their victory at today’s momentous by-election. Pakatan Rakyat and its candidate, Zaid Ibrahim, lost by 1,725 votes in the final count. Political scientists are now doing the number crunching, to emerge with analyses on which areas each coalition lost or gained respectively in comparison with the 2008 12th General Election. Long pieces will emerge in tomorrow’s portals and sites, stating reasons – from both sides – for the outcome. Central theme was without a doubt: “buy-election”. Enough said. I write as a Pakatan Rakyat supporter, which is clear since I work for, and therefore support, a Pakatan Rakyat government. I also therefore make no apologies for the dejection and disappointment reverberating across all such similar supporters at the moment, those who have been inspired by the cause to better Malaysia directly or indirectly. I write on behalf of those who have spent a significant amount of time and energy, both mentally and emotionally, placing their belief in the possibility of an alternative system and one in place of a Federal coalition government we know to be corrupt and unscrupulous in its thought and practice. Where does this dejection stem from? Its source is deeper than just the loss of an important Parliamentary seat and a by-election. It emerges from the sense that not all is well with the solution we thought we had figured out. That, put simply, Pakatan Rakyat would have been the alternative coalition government that would prove no one government (namely, Barisan) could wield such omnipotence with such unapologetic means of outright bribery and childish antics – and worse, get away with it. This, we thought, was easy enough to achieve: Get people to support an alternative, and voila! We obtain a two-party political system. This way, neither coalition can claim to have ultimate say since it is the people who place them into positions of power. What we failed to recognise was the possibility of numerous challenges within and without, all of which have threatened this one golden opportunity we had to produce a two-party system. I am not saying this is no longer possible, nor probable, but that perhaps it is time to remind ourselves of why we – all of us – are in this in the first place. Before that, let me add a caveat that I believe some bi-partisanship needs to be activated if either side desires to move forward in the project that is Malaysia. This means people interested in policy and planning from both coalitions agreeing on some common denominator and pushing those forward. I am sure (and I hope) this does happen at the Parliamentary front, but more must flourish: Brainstorming on education policy; youth policy; utilities; local government. Why does it matter that Zaid Ibrahim lost? Because it means that Malaysians are still culprit to the mass bribery of cash handouts, announcements of goodies (Najib’s RM3 million for Chinese schools in Rasa “only if BN wins” sticks out like a sore thumb) and under-the-belt (and rather stupid, in my opinion) doctored images of beer-clutching. It tells me that as long as the Big Boss has the world of resources to draw from, and has no hesitation in using, whatever else wrong that is being perpetrated by the government will not count a drop. Where do we go from here? Apart from the usual droning on that one could do (have better campaign financing and political funding laws; fairer media exposure; allow independent election monitoring), I believe that Pakatan Rakyat will need to do two things. First, to remind itself of the original cause for which they strive, and second, to act upon this belief and demonstrating to its electorate the same. Pakatan is where it is today because of its ability to convince people of its being an alternative to a corrupt, inefficient, unfair system. We must remind ourselves that at no point in our administration can we tolerate behaviour that departs from adherence to a transparent, fair and just system. Demonstrating this equals proactively working towards these ends, even if it means a radical shift from the way in which any part of government and administration run. This requires boldness. Berani kerana benar. This we are indeed doing, and we must continue to do, despite the obstacles that come our way. The most common lament, even amongst those who were starry-eyed about the tsunami of the March 8th 2008 election is this: that there is over-politicking, and that neither side is giving them what they expected. This we have to recognise and acknowledge (despite our arguments of justification), for fear that even a greater number of already apathetic youth disengage themselves from political participation. This becomes a failure of both the Barisan and Pakatan, because, in order to propel the country forward (yes, into a high-income nation ala the New Economic Model), you need young people, and you need them physically present to contribute. Hence many plea for some semblance of sanity and temporary suspension of political expediency. I am painfully aware of the many issues involved, such as a non-level playing field, and neither am I doing justice not covering them all in this short post. However, for the sake of proving that it is indeed possible to break the backbone of a power-obsessed Federal government (any one such government, for that matter), we must learn to dance to a different tune, and not one which has been provided to us thus far. We are a different animal altogether, and this we must prove. Here’s to Hulu Selangor, all who were involved and those who followed it from afar. Till the next round, and it is back to work – and hope – we go. I was invited to speak at the National Christian Youth Assembly in December 2009, on the theme of “Youth Empowerment and Participation.” You will note that there is nothing religious or theological about my speech, which is in line with my belief that young people of all races and religions ought to be equally empowered and inspired to make a difference in this country – in whichever field they would like, and within whichever group whose cause they ultimately believe in. This was to a bunch of eager young people, wanting to do something for their country, Malaysia. The National Assembly was apolitical. We all love an inspiring story when we have one. While Malaysia’s story is still unfolding, I’d like to take a page out of another book the world has now come to learn and understand. This is the fairy-tale story of Obama’s ascent to Presidency. I won’t speak about the issues he campaigned on, or the ideological policies of the Democratic Party today, but I do want to focus on the incredible wave of youth participation that contributed significantly to his win. The reason I cite examples from Obama’s campaign so often – in other public talks and this – is because I was physically present in the United States during the last two weeks leading up to, and including, the actual US Election itself in 2008. The experience was an excellent opportunity to observe and interview the new young generation of Americans so eager to contribute to change in society, country and the world. Let’s use them as a case study today. Were young Americans always this way? It would take days to debate the ebb and flow of youth political participation in the United States over the years, but the answer is: apathy had set in deep during the years of then President-Bush Junior, where any engagement was deemed as futile. For political analysts, this sudden shift and wind of change, the awakening of millions of young people across the country, was a phenomenon indeed. The Millennial generation in America, with their unique combination of technological gadgetry and prowess, and their changing attitudes towards systems and institutions, proved a powerful force for the taking. Obama, who had his pulse on the nation, was able to identify with what tugged at their heart-strings, spoke an honest and clear message to them: “Change We Can”. And the rest is history, as they say. Thousands upon thousands of youth volunteers and part-time staff were mobilised, emerging in social phenomenon such as “Obamagirl”, a young 21-year old leading the entire Obama campaign in his home state of Chicago, American-born Chinese (ABCs) and Vietnamese flocking to his service centres. Citizens across the globe contributed to his fund, USD10 or so right from their pockets. It is important to know what is making our millennial generation tick in order to transmit a message (political or otherwise) to our Malaysian youth. It is then necessary to take this message in the manner that is most viral and one that captures the imagination of our young to motivate them towards social action. Malaysians are a social bunch, which stems from our communal nature. This spurs us towards group meetings at the mamak stalls. In fact, we love conferences as a result! Think of the number of forums and events that exist practically daily (and nightly). As of March 2009, there were more than 1 million active users of Facebook, with the most active users being between the ages of 18 and 25, followed by that of 26-34. More astoundingly, Malaysia has the highest number of Facebook users in Southeast Asia. Conclusion: we love to talk and get people to listen to us. Youth with Internet access increased from 57% in 2007 to 70% in 2008. What does all this have to do with anything? A lot! First published in the Penang Economic Monthly, February 2010 Issue. One of the electoral themes that took the now-governing Pakatan Rakyat states by storm was that of transparency and accountability. Indeed, harsh criticisms of corruption, financial mismanagement, wastage and abuse of power was levelled against their predecessor Barisan Nasional at both the state and national level. The stories worked: voters were angry and disgusted at their tax-paying money having gone down the drain to advantage a privileged few. Indeed, Malaysia dropped from 47th in 2008 to 56th place in 2009, in Transparency International’s Corruptions Perceptions Index, its worst ranking in 15 years. Two years into their administration, what exactly has been done in order to fulfill their pledges of CAT – competency, accountability and transparency – that the Pakatan Rakyat states have waxed lyrical about? This article explores the attempts made by the state governments in improving administrative efficiency through transparency and accountability measures and the challenges encountered therein. The reason for placing transparency as a priority is simple: the more information that is available to the public from the administration, the more likely it is for governments to behave responsibly in order to uphold standards and commitments. This also allows citizens to obtain, analyse, and evaluate for themselves details about projects carried out by the government. A mature democracy requires that people are in this manner empowered. However, transparency is often a principle that many leaders champion yet fail to translate into reality. It is easy to make motherhood statements and pronouncements of reform, as Malaysians recall former Prime Minister Abdullah Badawi doing, but the devil lies in the detail, where laborious standards and stringent guidelines are required.